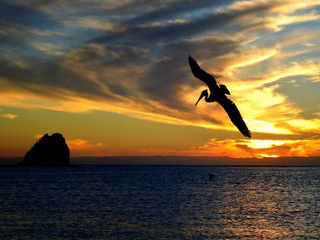 For travelers who appreciate adventure, a little luxury and getting off the beaten path, who are inspired by natural beauty and people who live closely with their surroundings, Baja, Mexico is an unforgettable destination. We hope you’ll enjoy this exciting sea to sea adventure. 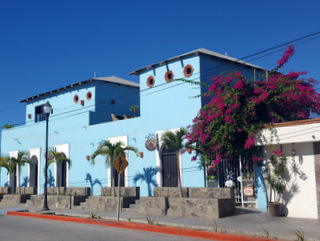 Arrive in San Jose del Cabo, transfer to your casita in relaxed, colorful Todos Santos. Kick off your shoes, grab yourself a cool drink and enjoy the view of the water. Head into town for a welcome dinner at one of the many renown local restaurants. Embark on an unforgettable trek across the Baja peninsula from the Pacific to the Sea of Cortez, with burros carrying your belongings and experienced guides to show the way. 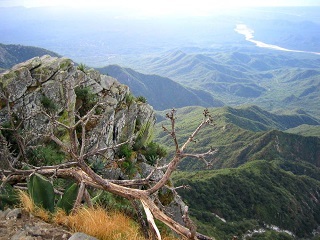 Hike through spiny forests and lush preserves of oak and mango. At the end of the day settle into camp and have a delicious freshly prepared meal, accompanied by local wines. 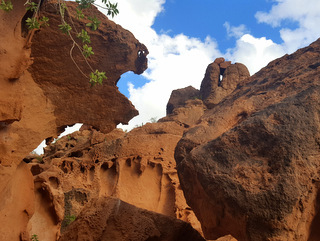 Enjoy an invigorating day hike with great lookout points, and plenty of opportunities for swimming in mountain pools. View mule deer, gophers, badgers, and a wonderful array of birdlife inhabits. Back at base-camp, freshen up with a shower, and relax with a cold beverage and a delightful Mexican meal. You’ve earned it! 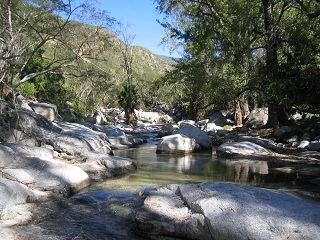 A full day trek through the Sierras as you descend through canyons and past waterfalls on your way to the Sea of Cortez. Take a dip in a refreshing pool and have a picnic lunch on the way. At the trailhead, you’ll be met and whisked off to La Paz. Get settled into your hotel, then enjoy a dinner out in the city. 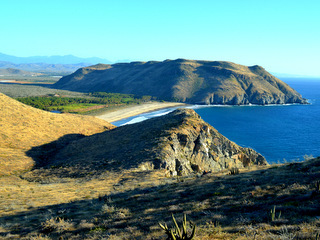 Travel by boat to Espiritu Santo National Park, a UNESCO World Heritage site, for your all-inclusive luxury camping stay. 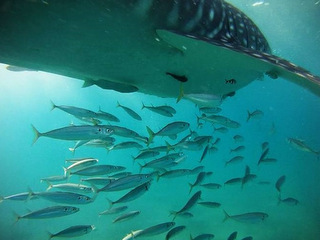 On the way, snorkel with the ocean’s gentle giants – whale sharks. 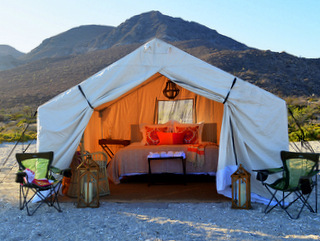 Rich with chances to view marine life, you’ll be staying on a lava-formed island, and sleeping in walk-in, safari-style tents with all the comforts for a perfect night’s sleep. Today, you can decide whether you want to snorkel, kayak or paddleboard the turquoise waters surrounding you. Your guide will show you all the hidden secrets of this magical place. To make this even more relaxing, enjoy freshly prepared meals each day, courtesy of your onsite chef. Enjoy another day rich with possibilities! Hike, snorkel with sea lions, explore the island, or relax on the beach with a good book. For those who love birds, you will see them everywhere! 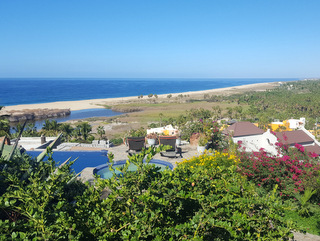 After lunch, leave your luxury camping adventure behind and travel back to colorful Todos Santos. Spend the afternoon exploring boho shops, cafés and art galleries, or stroll the spectacular cliff walk along the Pacific bluffs. Finish the day with a private cooking class led by local favorite, Chef Iker. Say goodbye to beautiful Baja! After breakfast, transfer to the airport in San Jose del Cabo for your flight home. 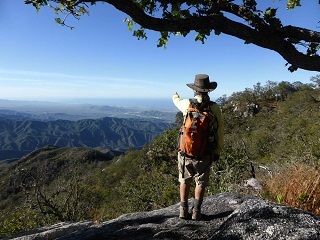 Extend your stay in Baja with a visit north for whale watching (in season), an overnight stay with local ranchers, or simply enjoy down time in the charming town of Todos Santos, where you can hike, bike, practice yoga and enjoy the natural beauty that surrounds you.